Extra pads designed for your Provent Briefs only. Eco-friendly and innovative fold-out style allows you to exchange soiled pads for clean pads throughout the day. Completely machine washable and dryable. Washable, reusable, athletic styled, incontinence boxer briefs with an integrated absorbent pad. Patented triple layer composite pad provides excellent absorbency, protection and ventilation. 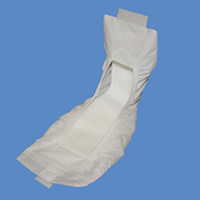 Provent Briefs keep you dry with breathable, durable fabric.